Here is the latest Ushanka GOP Rankings Report. 5) Evidence of conservative ideology. As to #2 in the list above, all candidates were issued a top value of three except John Kasich for his recent juvenile response to Republican critics (zero), and to Jeb Bush for his recent attempt to embarrass Trump (zero). You can see the full criteria for this report - here. New Domestic Policy item: Repeal Dodd-Frank. Brilliant! Thank you Donald Trump for bringing this up and for promising to pursue the repeal of this deadly legislation. Dodd-Frank was the last nail in the economic coffin that started in the early 90's with the government's push for banks to give loans to people who have a history of not paying their debts. AKA, Subprime. I was on the ground in Los Angeles during and after the 1992 riots. The lead message after LA's inner-city black community destroyed the area businesses was "dignity." As in, we have no dignity because we 1) aren't represented in TV and movies, 2) don't have grocery stores in our neighborhoods, and 3) banks won't loan us money for homes. The bleeding hearts prevailed, the most recently impeached president was elected, the government backed bad loans, and Dodd-Frank crippled our banks. 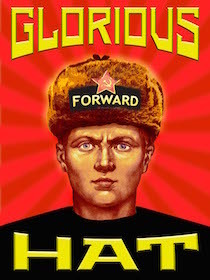 This campaign promise is now #11 in the Domestic Policy section of Ushanka's GOP Rankings Report. Trump is the only candidate on record, so far, as promising to pursue the repeal of Dodd-Frank. The two GOP dropouts came from the top rankings. I would like to see future dropouts come from the bottom of the graph, as that would suggest a more conservative interest in the Republican voters. My guy dropped out. I do not support anyone in this race, and the chart above is as objective as I can get. I expect by the time the Ohio primary comes around, I may not have much of a choice, as it appears Trump is dominating and may be the only candidate left. I prefer a choice in the primaries, but I also prefer the GOP candidates show up to win. Only Trump appears to have such a strategy. My last GOP Rankings Report. My most recent GOP Website Review. Trump is no libertarian by any means, but some of his stuff does make sense. I think he is genuinely concerned. What I heard him say on healthcare is that those who are able to keep more money in their pockets should have choices beyond their state for who they would like for health insurance but help those who do not. If his tax plan were place for the last 20 years I would certainly be wealthier even on my modest salary; I've yet to see a Republican propose any such thing. I'm uncomfortable with his saber rattling about Iran's nuclear program, but some of his other thoughts on the stupidity of overthrowing Iraq, Libya, and whomever else. Get the illegals out and ending birthright citizenship sounds good to me. Fully agree with your last point.